This isn’t your average Harvest Moon experience, in fact, this as much a learning experience for the adults as the kids. Harvest Moon is a franchise that while simple, does have a bit of a high barrier to entry if you think about it. For one, you need to know how to read. Secondly, a basic understanding of how a farm works and animal care is a plus. Finally, you do need some basic understanding of economics. As a veteran of the Harvest Moon 64 days I can attest we made spreadsheets plotting what crop would net us the most gold per season. What this all really boils down to is that for as “simple” as Harvest Moon is, it still requires someone to either be at the age where they start to enjoy RPGs or have a parent play along to assist in explaining things. Simply put, Mario this isn’t. You can’t expect a 4 or 5-year old to pick up Harvest Moon and enjoy it, until now. Yep, this is the whole farm on one screen. As you can see the interface is pretty simplified, yet identifiable. 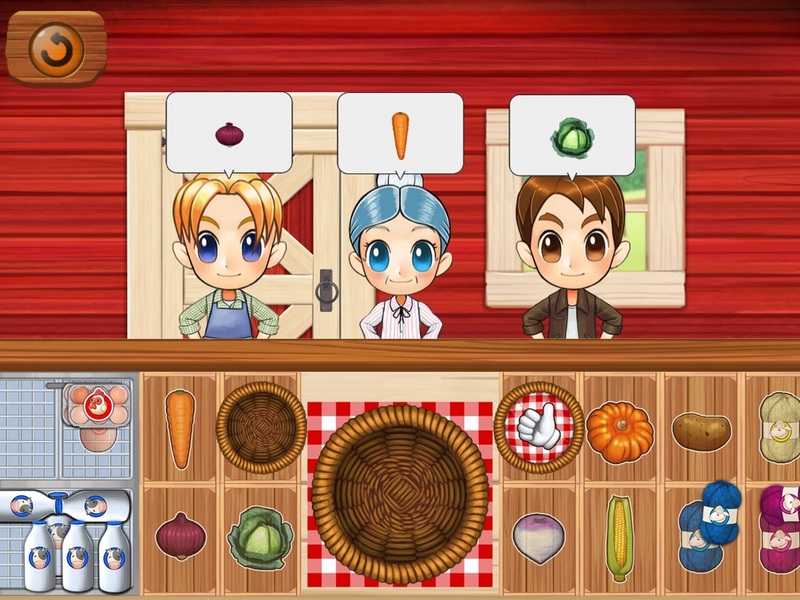 Harvest Moon Lil’ Farmers is a title that’s designed with a young audience in mind. Namely around 2-6 years old. This is meant as an introduction to the franchise and some of the basic ideas surrounding it. That means that while certain things will be familiar, a lot of things go right out the window. For one there is no text in this game, and I mean none. You do not need any sort of reading skills to play this. Instead, you’ll rely on context clues to perform actions. 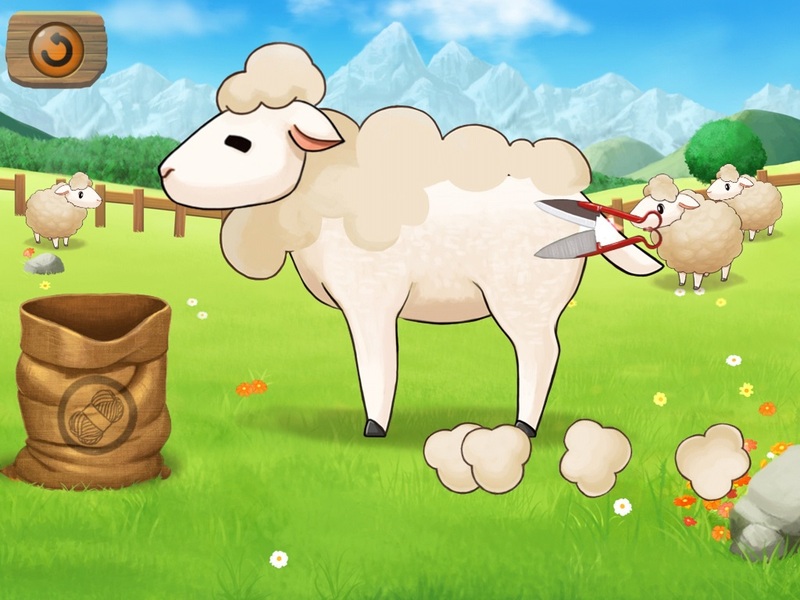 For example, if you want to shear a sheep you’ll be given the sheep on screen and the shears. Simply drag the shears to the sheep and hold over the wool. This brings us to our next point, there’s no economy or relationships. The controls are really simple, consisting of dragging various tools around on the screen or dragging other items to certain points. That’s right, you aren’t here to make money or find your true love. As I said this is pretty much the franchise condensed down to its very core, which is the caring of livestock and the growing of produce. While things like this are second nature to us adults, kids are still figuring this stuff out. Hey, when you were five did you really understand the concept of profits or that giving the pretty girl over there an egg was better than fresh milk? Probably, not and that’s where Lil’ Farmers excels. This is about as close to interacting with others as you get. However, you still are responsible for producing the items these people want. 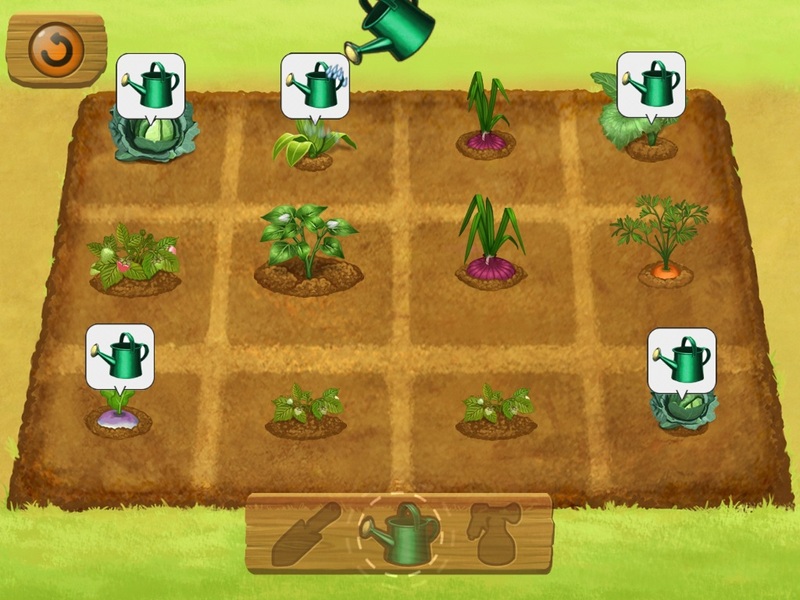 Lil’ Farmers is based around the idea of doing repetitive tasks, which it does pretty well. The first time you boot up the game, you’ll be taken through a tutorial of sorts. The game will lead you to each area of the farm and have you perform a singular task. Once done, you’ll head back to the main hub and onto the next task. Repeat until you have access to everything on the farm. From there, things do get a bit more complicated. You might only be able to grow 12 items at a time, you’ll be pretty busy watering various plants as they get thirsty. While there is no economy, you still can give things to the people who show up at your farm. However, you need to produce those things. If they want certain vegetables you’ll have to grow them. If they want yarn, you need to go sheer a sheep, etc. Yes, it’s very simple, but again try and remember the target audience here. Most kids enjoy being able to accomplish things on their own, which is this goal of this game. It’s meant to teach them cause-and-effect and how to perform repetitive tasks. Once again think back to your childhood or even to your younger siblings. How often did they want to show off that they could do something on their own? Thankfully Harvest Moon Lil’ Farmers understands its target audience well and even understands it’s price point. 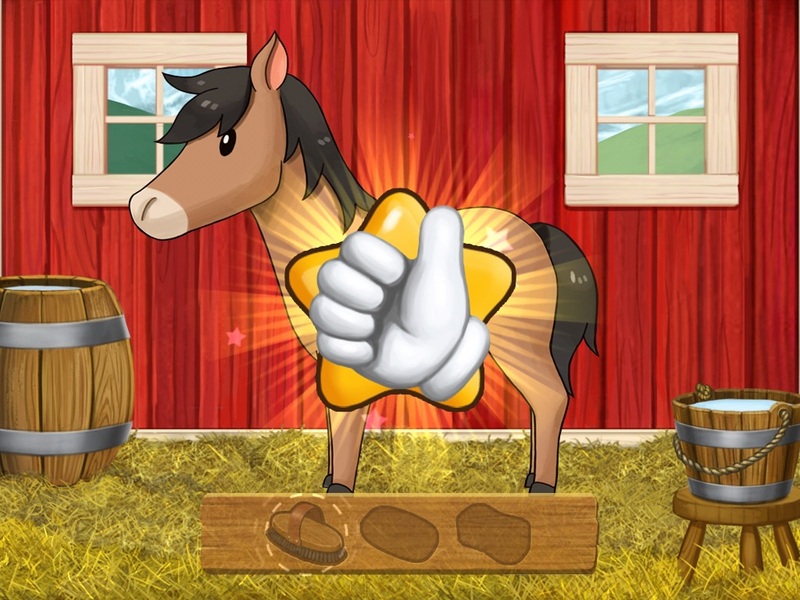 The game will let you know when you successfully complete a task regarding the animals. In this case, the goal was to wash and brush our horse here. 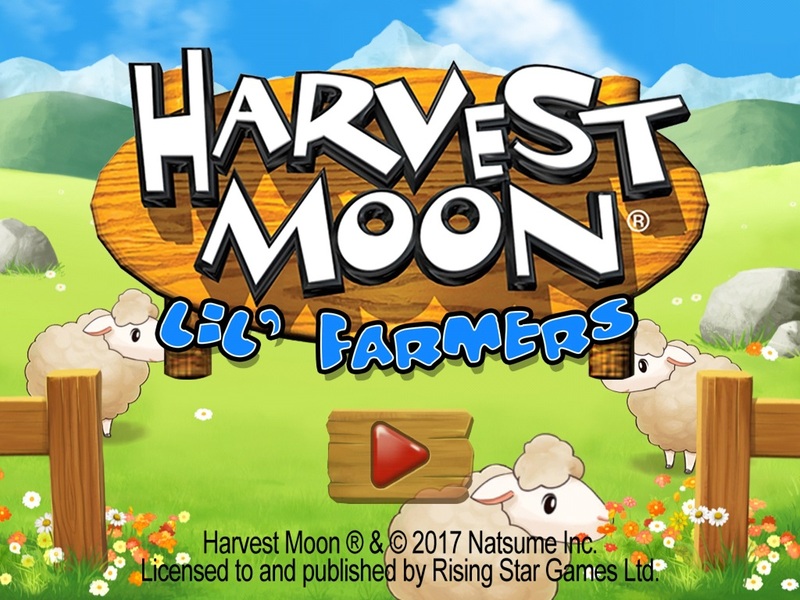 Harvest Moon Lil’ Farmers will run you $3.99 and does not feature any in-app purchases. That’s right, there’s no chance you accidentally end up with $1000 worth of tokens or in-game currency here. Simply purchase the game, open it, and hand your device to your child. I would still recommend sitting with them however at least through the tutorial in case they do have any questions. What I’m not as sure about is how long this will keep their interest, as that is something that will vary from child-to-child. Four dollars though isn’t much to ask for an afternoon of playtime. At the least, I don’t regret paying the $4 to capture images for this write-up. 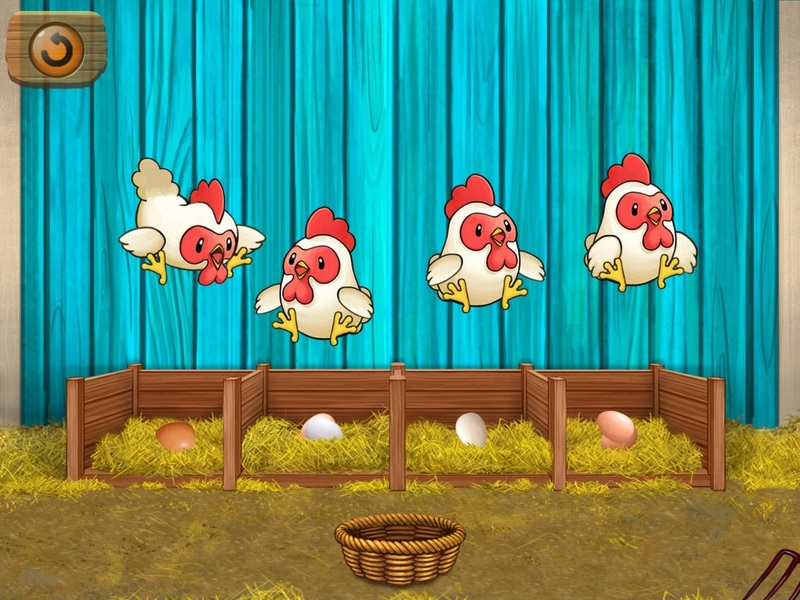 That’s it for this hands on, I leave you with chickens. Why? Because everyone loves chickens that’s why. 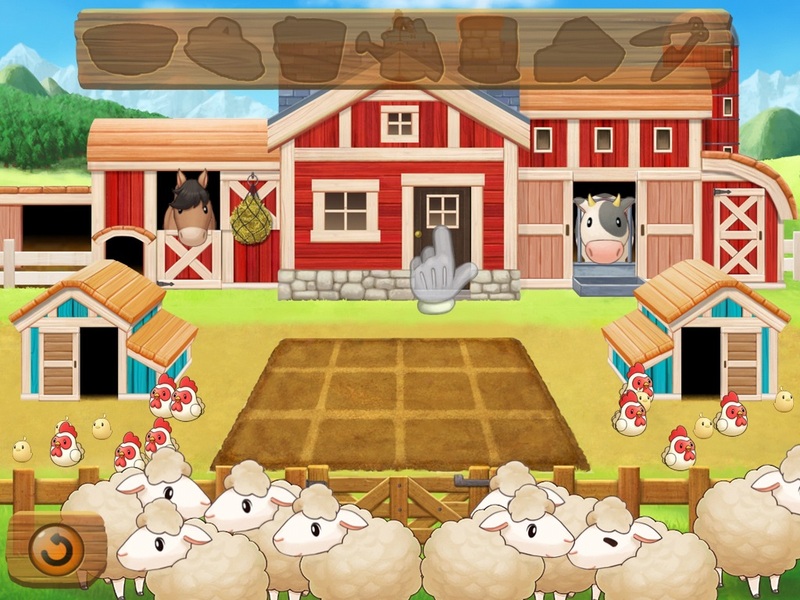 Harvest Moon Lil’ Farmers is available now for iOS and Android devices.